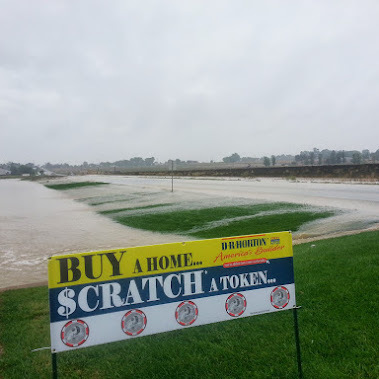 This is what it looks like around our development here in Frederick, CO. While our house is a few feet above the flood line, one of the two entrances is underwater. We have flood waters on half of the south side, all of the east side and most of the north side. We were able to get to the grocery store 5 miles from our house but we had to drive 20+ miles to get there with roads closing right after we went through. Took us 45 minutes to find an open route back to our house. Since then, all roads to I-25 and Hwy-85 are now closed. We will be staying home for the duration - with another 2-4 inches in the forecast for tonight and more tomorrow.